Managing the logistics of your move in a sane and organized way can literally make or break you while moving. There’s absolutely nothing worse than arriving to your new country and realizing that the birth certificate you must have in order to obtain a national ID card (which you need to get a driver’s license and legally rent an apartment) is in your container which will arrive in about two months. You’re paralyzed until it arrives and then frantically dig through everything to find that birth certificate. Talk about starting off on the wrong foot. In order to make your transition as smooth as possible and prepare yourself for any emergencies, you’ve got to have your legal and financial documents in good order. Prior to your move, follow these guidelines. Also, make sure to review and update your documents every year. Storing paper documents in a binder and then in a waterproof bag is the best way to ensure that they stay safe. Electronic documents should be stored on a cloud app or on a USB stick to ensure that when the computer they are stored on stops working, you can still easily access your key legal and financial documents. The act of collecting all the documents you need for an international move is not for the faint of heart. Break this task up into manageable chunks of time and allow about 10 hours to pull together all the information you need. 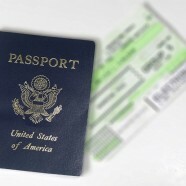 All Passports: Ensure that they are valid for at least an additional six months. This includes foreign passports if you are dual citizen. Key medical records of all family members: Especially if you have been diagnosed with a chronic illness or have a major surgery in your medical history that will be relevant to your future health care. Proof of relationship to your children and consent forms from any non-accompanying parent: Visit the child abduction country information pages for country-specific information. Contact information for the nearest Embassy or Consulate of your home country. A copy of all these documents plus your credit card numbers and phone numbers to cancel the cards kept in a separate place: Make a copy of the page of your passport with your picture on it and copies of any foreign visas you have in your passport. Have all of these in your money belt? Also keep them in your backpack. Keeping your passports in your purse? Keep the copy in your carry-on suitcase. Prescription medications: Pack meds for your entire trip plus about two weeks extra just in case. Pack them in their original containers. Ask your pharmacist or physician for the generic name in case you need to purchase it abroad. Make sure that your new country allows your particular medicine. If not, make a plan for how to get it as frequently as you need it from your home country. Get a letter from your physician with your prescription and why you are taking it. Some countries have strict regulations on importing medicines. A video or inventory of all the items you are moving: If you need file a claim with your insurance, you will have to state exactly which item never showed up in your shipment and that it was actually packed. Include the serial number and model number from electronics. Wills: You will want to make sure you have a will before leaving your home country. Creating legal documents in a country other than your home country can be more complicated for a foreigner. Notarized paper copies of your birth certificates, marriage certificates, divorce papers and custody agreements, and adoption documents. An electronic copy of all the documents you hand carried: In case of emergency, your contact at home can email you all the documents you need to replace your passport. WANT TO KNOW MORE ABOUT MOVING TO A FOREIGN COUNTRY? Passport Career provides more detailed career information and extensive resources about networking, finding a job, internship, alternative career opportunities as well as information on writing CVs, cover letters and interviews. If your organization, embassy, university/college, library, or other institution would like access to our country portfolios (15,000+ pages of expert content for 80+ countries and 250+ cities) to share with your students, employees, spouses/partners, and others managing a national or international career transition, please click here to contact us (or send email to: info@passportcareer.com) regarding a free, live, online demo and details on how to obtain a license to access Passport Career. Hi, I have had to apply for a new copy of my Birth certificate. It will take 6 to 8 weeks but I fly to Mauritius to start work in 2 weeks. How will this affect me there? Can I use my child passport instead? Is there an alternative?